Most people would have no idea that such mismanagement was being committed by their trusted real estate agent. We lead busy lives and we trust our financial planners to serve our best interests. After all, that is the reason why we hire such professionals in the first place. But greed and corrupt practices can get in the way, causing you to lose potentially large sums of money. When this occurs, it is considered a form of professional negligence or malpractice and is prohibited by federal and state laws. If you believe you have been affected by real estate fraud or negligence, you should contact a real estate negligence lawyer today. Real estate investment fraud may occur due to fraudulent appraisals, negligent misrepresentations, fraudulent misrepresentations, breach of contract, seller fraud, or developer fraud. Additionally, other real estate fraud may occur through the sale of condos, houses, vacation homes, commercial properties, or other buildings sold with significant undisclosed defects or sold as a result of a significant misrepresentation regarding the property. For example, there may be a fraudulent misrepresentation regarding the actual value or condition of some piece of investment property, which induces you to purchase the property. Even if you have tried your best to do your due diligence, you may be misled by the mortgage company, escrow agent, title company, or real estate agent. Many of these people and entities have a personal interest in seeing you complete the sale, as they may be agents of the fraudulent seller or a party that will collect a commission on the sale, should it go through. In these situations, it is particularly important that you have a representative who will evaluate your case, fight on your behalf and, if necessary, file suit against those who committed or perpetuated the fraud or scam. An experienced or real estate fraud lawyer can advise you on whether you have a claim for real estate fraud or your chances of pursuing a successful failure to disclose lawsuit based on undisclosed defects or misrepresentations regarding the property you purchased. 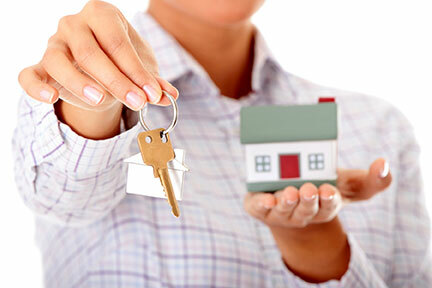 Contact one of the real estate fraud attorneys above for a free consultation. Over the past few years, we, as a society, have become increasingly cognizant of financial and securities fraud going on across the country. 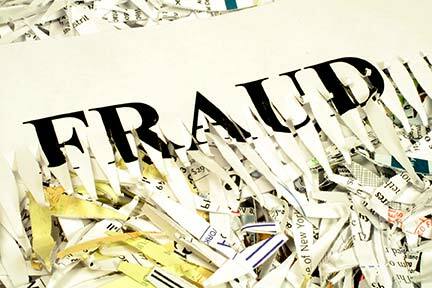 If you feel you have been subjected to fraud or negligence in the way your securities account was handled, contact a investment fraud attorney now. If you believe you have been affected by one or more of these corrupt practices, consult an experienced malpractice attorney today to begin recouping your losses. Unfortunately, unscrupulous stock brokers often have no boundaries, even when it comes to elderly Americans planning for their retirement. After working and saving all our lives, we trust that the "fiduciary" relationship we have with our broker will be treated as one of special confidence and loyalty. If you are elderly and feel that you have been subjected to abuse by your stock company, contact a stock broker malpractice lawyer in today. More information regarding securities laws and regulations, including new proposed and enacted reforms since Bernie Madoff's Ponzi scheme defrauded thousands of American investors, is available at the website of the U.S. Securities and Exchange Commission (SEC), at: http://www.sec.gov/. If you would like to make a complaint or provide the SEC with a tip regarding a possible securities violation, click here to report the fraud to the SEC and contact a Fraud Attorney to protect your rights. Additionally, most states have a Department of Securities which handles complaints and investigations about fraudulent banking and investment practices. Rest assured that a area securities fraud attorney will be familiar with both federal and state securities laws and will have the expertise necessary to aggressively pursue your claim and get you the financial recovery you deserve.